Amidst a new generation of groundbreaking technologies that continuously revolutionize the ways in which we lead virtually every aspect of our lives, who knew that bar codes would bounce back from their near relegation to the ash heap of history. Once considered as trendy as the Dewey Decimal system, bar codes have again emerged as a major force to be reckoned with both in retail and advertising. If bar codes were capable of sending a collective thank you note for their newfound popularity, it would be directed to the mobile phone community, which has wholly embraced the potential of bar codes and essentially made mobile marketing and bar codes as complementary as bread and butter. While in the past bar codes were primarily used for price checks and transactions, today they provide an almost impossibly convenient gateway to a world of more information than we usually even need. 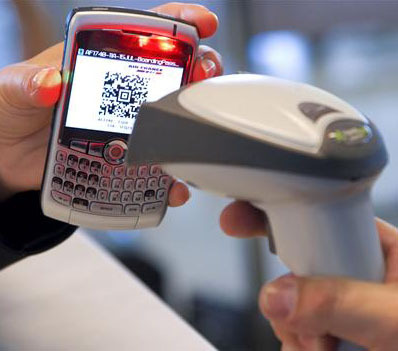 Through the power of mobile technology, bar codes make it possible to review product information, receive coupons, competitive and bargain shop, and become a powerfully informed consumer of virtually any product or service imaginable. Bar codes have proven so bankable, in fact, that major companies are matching their substantial faith in bar codes with substantial investments into their potential. Recently, Scanbuy, a New York-based provider of mobile bar code solutions, received large but undisclosed investments from heavy hitters like Motorola Ventures, Masthead Venture Partners, Hudson Ventures and other private investors. With approximately nine out of ten cell phones now equipped with cameras, the power of bar codes in the mobile realm has become far too promising for businesses and advertisers to ignore. And while bar code-based campaigns were initially the province of major organizations and retailers, today they are accessible and affordable enough for small businesses to embrace and, frequently, to great results. For a better understanding of the potential of mobile marketing and how it can help you and your business, please visit Mobile Storm today.